When SharePoint is used effectively as an intranet and collaboration tool, it is an important and effective part of a business’s communication and information ecosystem. However, challenges during planning, installation and ongoing unstructured updates may cause you to miss out on the platform’s full collaborative potential. At Systems Technology, we want to help you understand the benefits of effectively developing an Intranet portal in SharePoint, assist adoption and ensure a robust ongoing development and governance structure is in place. System Technology’s Engage for Intranet and Pathfinder solutions are built within the core components of SharePoint. Our pre-configured, pre-tested platform accelerates the process of implementing a best practice intranet system and reduces any negative impacts – such as Microsoft updates beyond your control. With over 10 years’ experience in developing portal-based solutions, we understand SharePoint and the advantages it offers your business. SharePoint is a solution that is mostly ready for implementation but a very important element is reliant on client customisation to match your unique business needs. We’ve outlined some of SharePoint’s most impressive features; however to truly see the benefits of this software, remember that an accurate planning and installation is crucial – which is why we’re here to help. We understand the importance of having a single platform to store and share documentation. We also know that this needs to be easily accessible wherever you are and on whatever device you’re using. That’s why we recommend SharePoint, which allows all your employees to work within the same digital space, with all files in the same shared location online. Using its ‘Sites’ feature, documents can be organised in customisable ‘Team Sites’. These allow you to divide your storage in a way that works best for your business. Combined with SharePoint’s effective search function, employees can always easily locate the file they need (the days of endlessly searching through inboxes for a long lost attachment are long gone). However, it would be a mistake to simply use SharePoint as a cloud storage solution. It has so many other use cases for other business areas – which is where it differs from Microsoft’s file hosting service, ‘OneDrive For Business’. In SharePoint, it’s not just files that are centralised – it’s also the apps and tools you use. Apps are now part of working online for many companies; yet as there are so many of them, adoption across businesses is usually inconsistent. To minimise this, app shortcuts can be connected to SharePoint; meaning access is a simple click of a button. This can also be tailored for your specific requirements i.e. certain departments can have role-specific tools displayed on the log-in page. A “ground up” bespoke deployment of SharePoint can be costly. However, the Systems Technology Engage for Intranet and Pathfinder solutions is a reduced cost in comparison. We provide flexible call-off consultancy services which ensure that our solutions are configured in the most optimal and cost-efficient manner for the unique requirements of your business. Whilst Engage for Intranet and our Pathfinder solutions are a cheaper way of implementing SharePoint effectively, we never compromise on quality or requisite efficiencies – so you can make the most out of all of SharePoint’s time-saving benefits. And, of course, saving time saves money. Beyond the ease of locating files and apps, SharePoint also offers many other solutions. Templates allow you to streamline processes, ensuring everyone uses the same format across the business. You can use these for documents, plans, reports, presentations and even project management. Templates make it simpler and more efficient to fill in documents. Beyond this, SharePoint can also be set up to complete aspects of a file and escalate to necessary team members where appropriate. Automation can be used for processes such as collecting feedback, obtaining approval (including signatures) and even managing customer support issues. All of these benefits can massively increase efficiency across a business. Sharepoint document templates can take time to edit and perfect initially (such as branding) but the effort is worth the reward – you will save time and reduce overheads in the long run. If you’re only looking for a simple document, you can find readymade templates online. We can also help you make the most out of customisation and save further costs to your business. Having a secure communication platform is essential. With all businesses now affected by GDPR, there has never been a greater need for sharing company information securely (both internally and externally). 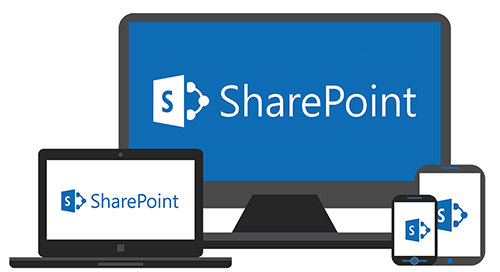 Whilst you may have concerns about the protection of online documents whilst using collaborative tools, SharePoint can be used to optimally enhance security and ensure compliance. At Systems Technology, our document management services ensure your sensitive information does not fall into the wrong hands. Recognising the changing workplace, our Engage for Intranet and Pathfinder solutions ensures your online collaborative documents are just as secure. Without an effective tool like SharePoint, staff may turn to their own choice of online workspace or project management system, opening up your data to a variety of unapproved platforms. SharePoint enables both visibility and privacy; giving you the option to freely share documents but also restrict to intended recipients. This encourages collaboration whilst negating the risk of documents being incorrectly forwarded; protecting confidential information. SharePoint does so much more than give colleagues access to each other’s work. It also allows people to work together on the same documents at the same time. Perhaps several people are trying to work on different sections of a document and working to a deadline. Using Microsoft Word, this results in multiple versions of the same document and chaotic merging. This can result in lost work and confusion; wasting precious staff resource and time. In SharePoint, multiple authors can view, edit and work on the same file simultaneously. A collaborative and open approach can benefit the entire company culture. In SharePoint, calendars can be shared so that everyone has visibility on meetings, absence and capacity; making meetings far easier to schedule in advance. 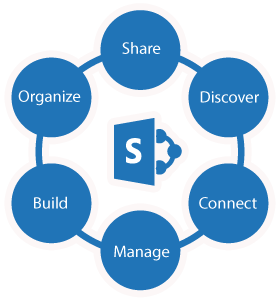 SharePoint’s project management tools include the ability to assign tasks and streamline work communications. With integrated workflows, it’s simple to set tasks for all teams – even if staff are not in the same location. This system improves accountability and accounts for all assigned work in one easily accessible place. In addition to this, SharePoint also supports wider company communication. Each user has the ability to add their own profile, helping teams to understand each other’s roles and responsibilities. Integrated with Outlook, profiles can include photos of each team member; helping colleagues ‘put a face to a name’, even if they work remotely. People may initially be concerned about a digital work tool removing the human touch, but the collaborative approach of Sharepoint can mean quite the opposite. Thanks to the easy simultaneous access, staff no longer need to micromanage or chase for documents. With these pain points removed, colleagues are able to focus on carrying out their work and building more positive workplace relationships. These are just some of the benefits that an effectively implemented SharePoint system will bring your business. Choosing either Engage for Intranet or our Pathfinder solution will give you a bespoke platform to share, manage and access information tailored to the needs of your business and the requirements of each individual team. When used and customised effectively, SharePoint can help unite your business and considerably increase team efficiency. To find out how Systems Technology can help integrate, apply and tailor SharePoint to your business, please reach out to talk with one of our technology consultants.